Livermore Gutter Cleaning Service - World Exteriors Inc. Annual gutter and downspout cleaning is a vital part of maintaining your home. 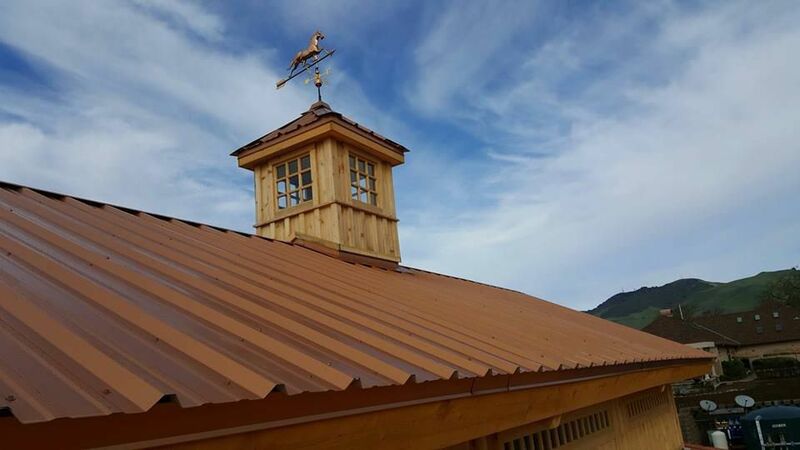 As a licensed commercial and residential roofing contractor, we make the extra effort to ensure that all of our staff is properly trained in both safety and proper technique. Each of our employees has also been trained in how to properly walk on tile and metal roofs. We have found that one of the primary concerns for home owners is that someone will improperly walkon their tile or metal roof and break tiles or bend the metal.Broken tiles can lead to roof leaks that can be very costly to the home owner. See our Roof Repair page for more information, and give call us for more details. We pride ourselves on providing a professional service every time to all of our customers. • Evaluate and troubleshoot every job. • Use the blower to clean the roof of leaves, pine needles, or other standing debris. • Hand scoop all debris from gutters. • Spray gutters with high pressure hose. • Thoroughly flush all downspouts with water to clear blockage. • Inspect roof for current and potential future problems. • Clean up all messes after the job is completed.